Today's post is a bit of a whomp whomp. I believe in showing you the good and the bad. And this is bad. Very very bad. Most of you probably don't know but I recently went to Montreal for a weekend trip. While I was there I did some major damage. Lush, drug stores and even food. Most of you probably DO know I love Essence polishes so when I came across some displays I bought one of everything I saw. Todays post features two of them. 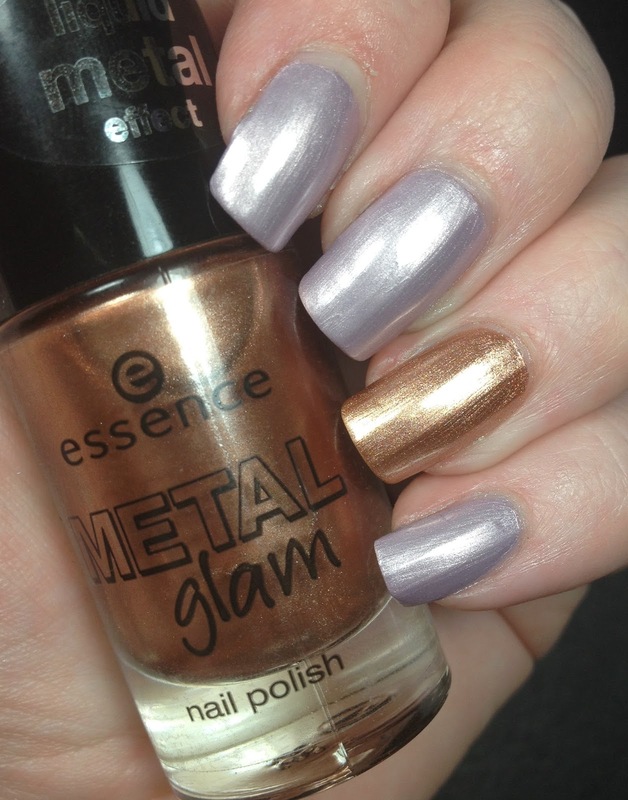 The two polishes below are from the Metal Glam line and are metal effect finishes. Now I consider myself a seasoned nail painter and am regularly able to paint them and make them look good. Not the case with one of these. The purple is Petal to the Metal and the accent is Steel-ing the Scene. I used two coats of each over Barielle's Hydrating Ridge Filler and I topped it with Glisten and Glow HK Girl. 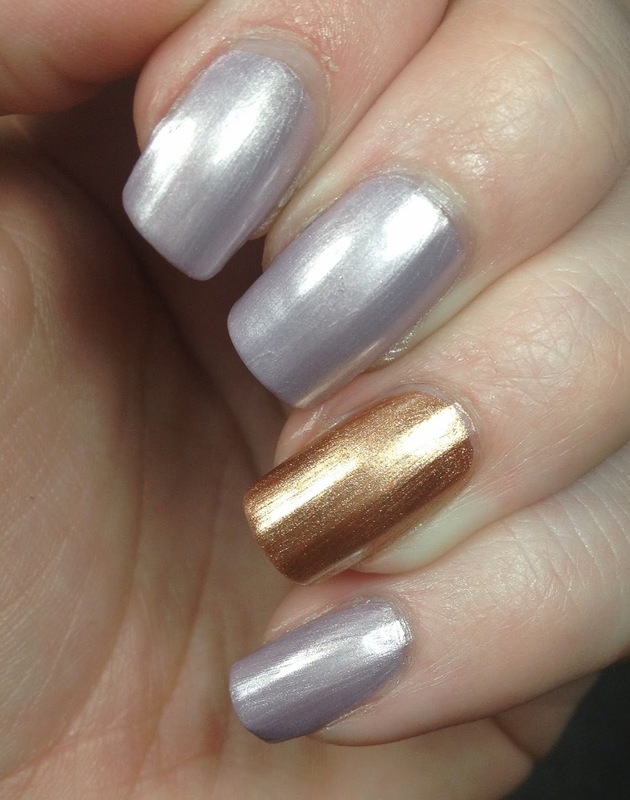 Petal to the Metal is a light purple frost and Steel-ing the Scene is a beautiful copper. 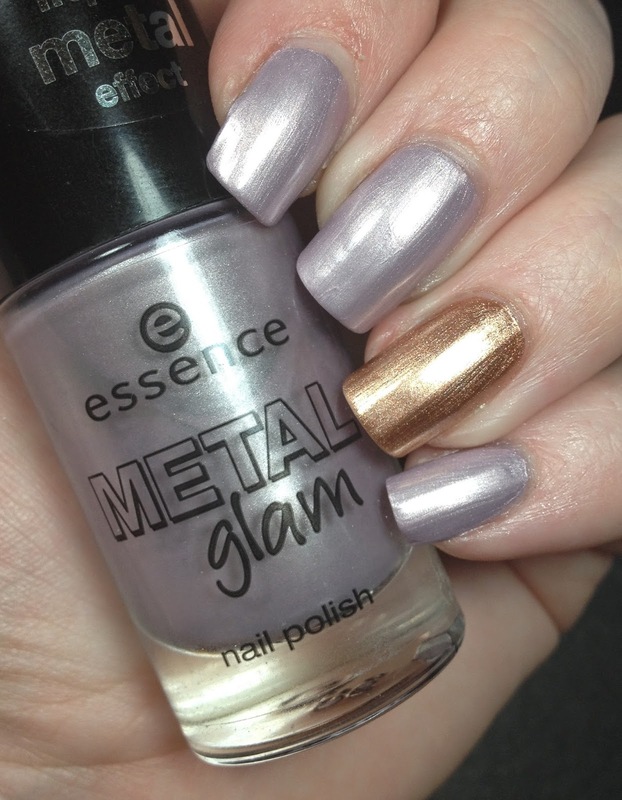 Clearly Steel-ing the Scene was the scene stealer of this mani, it is beautiful. Petal to the Metal, not so much. It was a streaky mess. 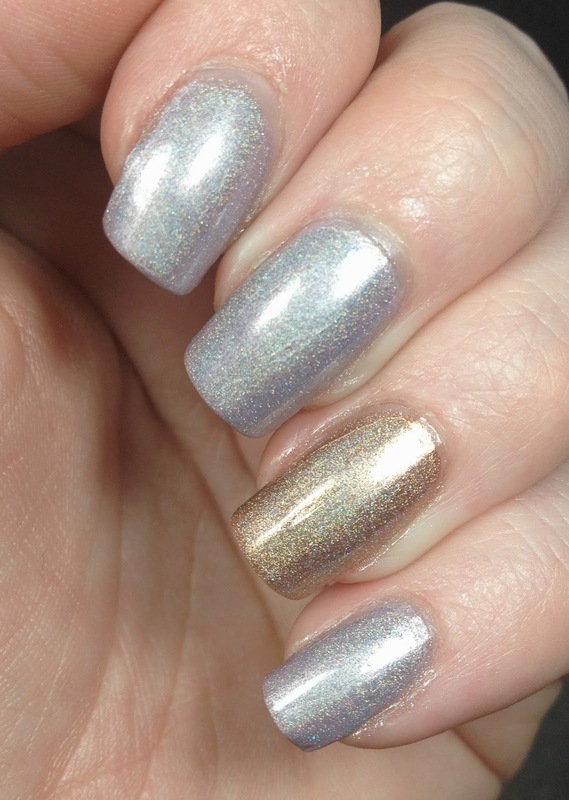 In order to salvage it I added a couple coats of Mentality's holo top coat. Much better. So there it is, my most recent fail. It wasn't too bad once I put the holo topper on it. But here it is. What is your most recent fail from a polish, if you have one? Nice pairing together. There pretty.